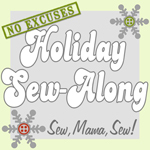 Come join me for a sew-along. Let's get a head start on the season. Free Motion or Straight Lines? She's RATastic! don't you think?